2018/19 applications for the IHD Foundations subject are now open. 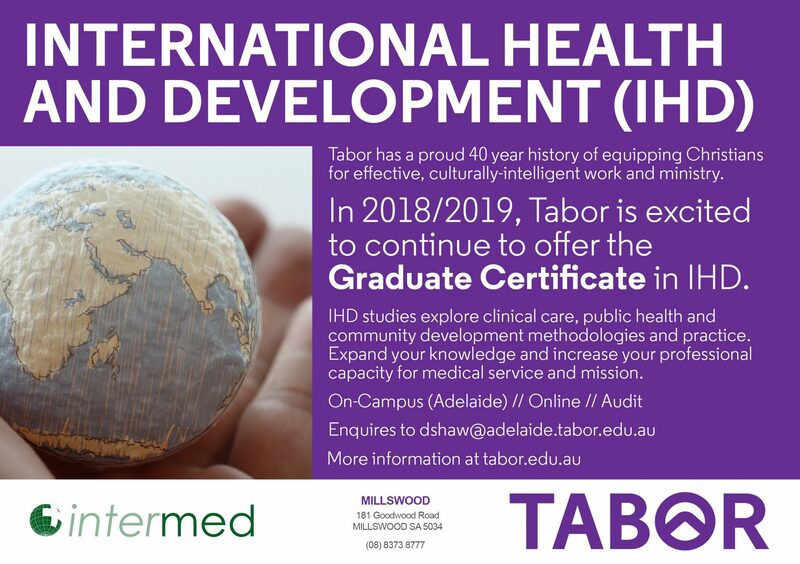 2018/19 International Health and Development (IHD) Summer Program commencing 19 November 2018. This is followed by a two week intensive from 7-18 January 2019 at Tabor. Details below in the flyer.